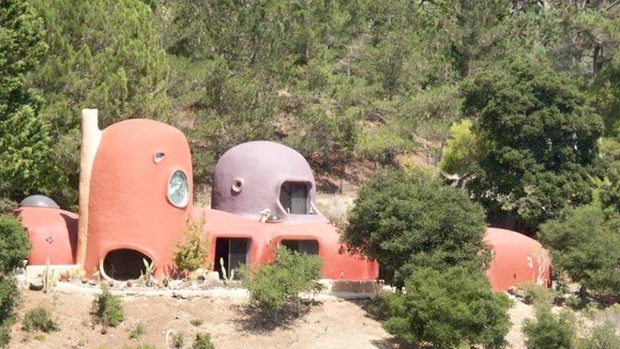 An addition to one of the most unique homes in the Bay Area has ruffled some feathers at a Hillsborough Town Hall Friday as a lawsuit has labeled the iconic Flintstones House a public nuisance. Sergio Quintana reports. An addition to one of the most unique homes in the Bay Area ruffled some feathers at a Hillsborough Town Hall Friday as a lawsuit has labeled the iconic "Flintstones House" a public nuisance. In keeping with the "Flintstones House" theme, a statue of Fred Flintstone is in the front yard as if he’s ready to welcome guests, and since the new owner purchased the property, large dinosaurs towering over the yard can be seen from Interstate Highway 280. According to the town’s lawsuit filed this week, "because the landscaping improvements create a highly visible eyesore and are out of keeping with community standards, the decision and order required that they be removed by Dec. 5, 2018." "I don’t mind, but I can imagine other neighbors may," said Donna Situ. The house is owned by Florence Fang, a prominent member of the Chinese-American community in the Bay Area. According to the lawsuit, she did show up to one of the permitting hearings, where inspectors told her she didn’t get permission to put up the dinosaurs and other yard decorations. "My grandmother hasn't even seen the papers yet. She only learned this from the news today. I'm sure she will fight to save the Flintstone House though. Stay tuned," her grandson Sean Fang said in a statement. "As a San Mateo County native, I think the dinosaurs are beautiful. They make everyone smile and should stay." Residents said dealing with Hillsborough Town Hall can be a challenge. Neighbor Situ learned that when she recently moved a tree. "You had to ask, what is the circumference and when do I have to file paperwork to chop down a tree. You do have a lot of paperwork that you have to deal with," she said. The permitting department already fined Fang $200, which she paid. The lawsuit is not demanding anything be changed on the house, only that the dinosaurs and other yard items need to be removed. "This is intolerance and elitist behavior from the town of Hillsborough. It is unconstitutional, and we will fight back vigorously in our answer and cross-complaint."